Haverhill, MA Remodeling Contractor | Star Construction Company, Inc. If you’re a homeowner in the beautiful, historic City of Haverhill and you’re considering remodeling your home or rental property, you’ll need a contractor you can trust. Since the 70’s, the owner of Star Construction has been working in the construction business, and has a wide variety of experience with different projects. At Star Construction, we can handle your remodeling project, no matter how big or small it is! We think Haverhill is a stunning place to live, with a wide variety of recreational opportunities and a growing technology and research industry. We love embracing the city’s historic nature while simultaneously helping its residents build and modify their homes, transforming their homes into their perfect space. If you’re interested in working with Star Construction on your remodeling project, get in touch with us today. We’d love to work with you! 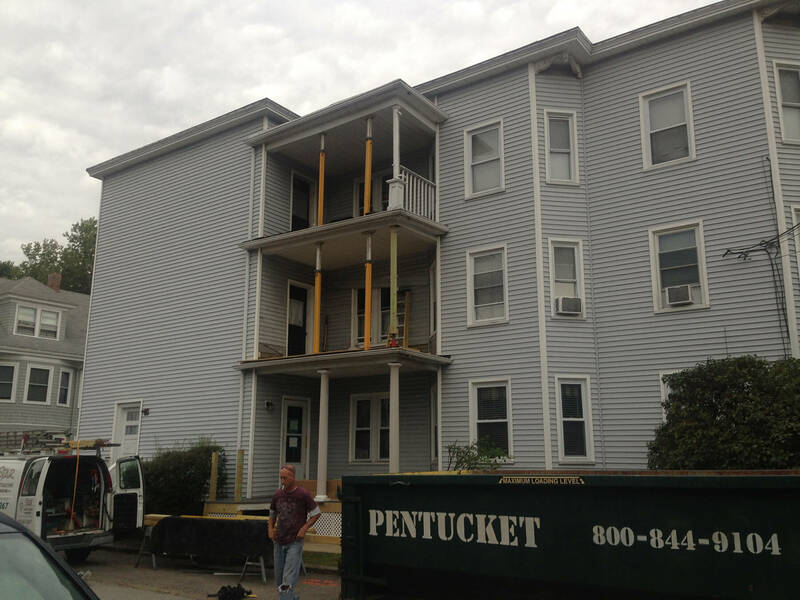 One of the projects Star Construction completed in Haverhill was a deck renovation for a 3-story rental unit. There were apartments on all three floors, and the decks were collapsing on the upper two stories. We replaced the decks on all three levels, made sure the roof was level, and gave the area a thorough going-over to ensure that everything was repaired and completely stable. Our priority was to ensure the safety of both the residents and our client, and we delivered. At Star Construction, we have over 40 years of experience handling nearly every type of renovation you can think of, from whole-home makeovers to bathroom and kitchen remodeling projects. We know that your home is important to you, and we promise to treat it with respect while we work with you to transform it. To make sure you’re comfortable, we guarantee that we only work with sub-contractors we’ve thoroughly vetted, and who we’ve established a relationship with. We’re also registered, licensed, and insured, to make sure that everyone is safe on the job. Whether we’re working with a designer we recommend, or you choose your own, we’ll coordinate the project with you to make sure that everyone’s on the same page and has the same information. This will help your Haverhill home renovation go smoothly, and give you as stress-free an experience as possible. Let Star Construction show you what we can do for you. Get in touch with us today to schedule a consultation!